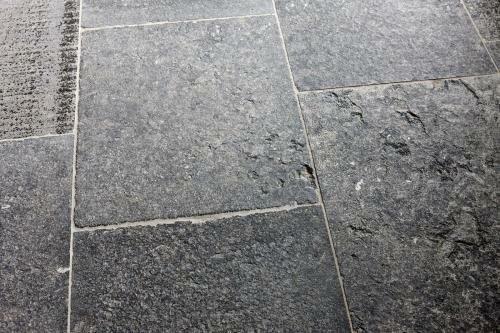 This Belgian Bluestone is aged and tumbled with blue/grey tones. The appearance is simialr to the original and more costly material. The dimensions are 60cm wide and up to 110cm long on lanes with a thickness of 3cm.